Topic: Security problem when going to MX Simulator Forums?!?! 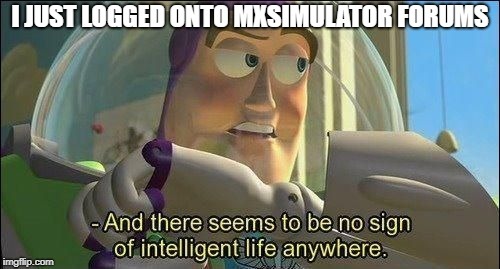 Re: Security problem when going to MX Simulator Forums?!?! LKR47 wrote: Just an expired certificate it looks like. Shift-Left click on the reload button. It will clear the website's cache. still not working for me, anytime the page reloads that comes up. Here's another 3D scanned track. Overlay And 3D Model in this link. Feel free to use the overlay and 3D for anything. I'll upload the files later tonight.